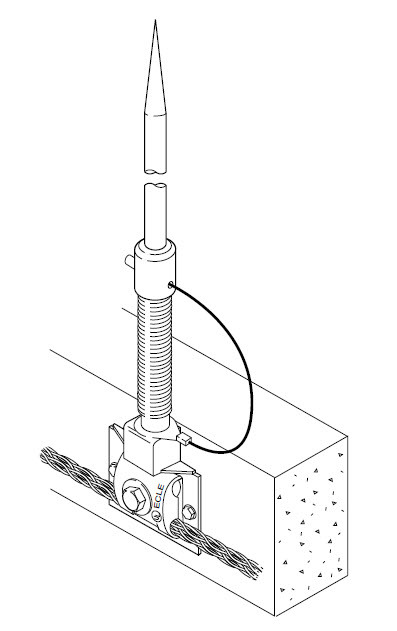 Use Spring Adapters when safety requirements preclude the use of rigid air terminals. 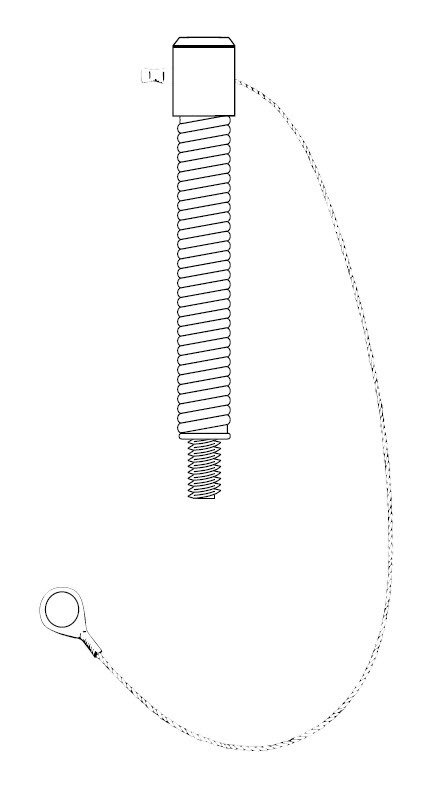 Stainless steel spring is 3.5″ (89 mm) long. 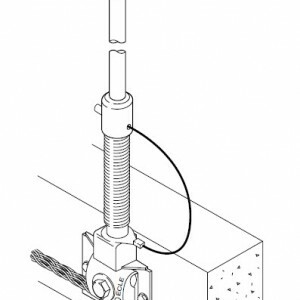 Ends are fabricated from 3/4″ (19 mm) round aluminum or brass rod stock. 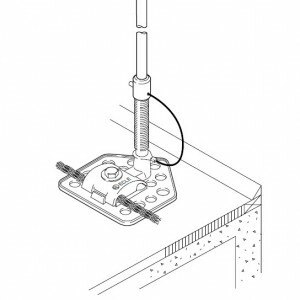 Top end is threaded female and has a 12″ (30.5 cm) stainless steel safety cable. Bottom end is threaded male.When ordering air terminals for use with spring adapters, keep in mind that air terminal length should not exceed 18 inches (45.7 cm). 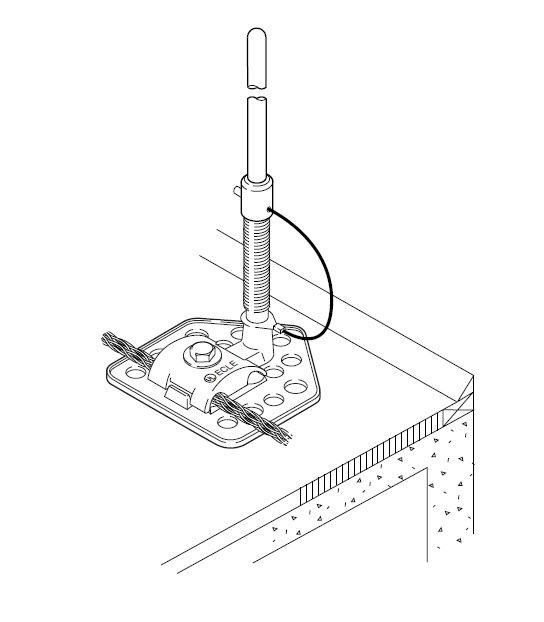 Spring adapters are not recommended for use with 5/8″ diameter copper air terminals.